Top Photos from 2016 ~ Learn, Live, and Explore! While I didn't bake as much in 2016 as I have in previous years, I certainly did not slack on my photography. In fact, I'm excited to take things to the next level in 2017. My Christmas present arrived this month - a new and much better camera! I also finally finished creating a separate website for the photos I believe would look great framed on a wall, and they are all available for purchase. Trust me, there is a rigorous decision process I go through to determine if a photo is good enough to post on that site. On this blog, I'm not quite as picky on quality because I am primarily concerned about the photo telling the story of the event or the travel adventure. Speaking of stories, here are some of my favorite photos from this past year and quick blurbs. I'm starting off with a fantastic memory. This photo was captured with a Panasonic Lumix point and shoot camera that I take with me to concerts to pass the no detachable lens restrictions on cameras. For a point and shoot, it's pretty solid in the low light, with it's 1" sensor, but of course being close to the stage helps a lot! 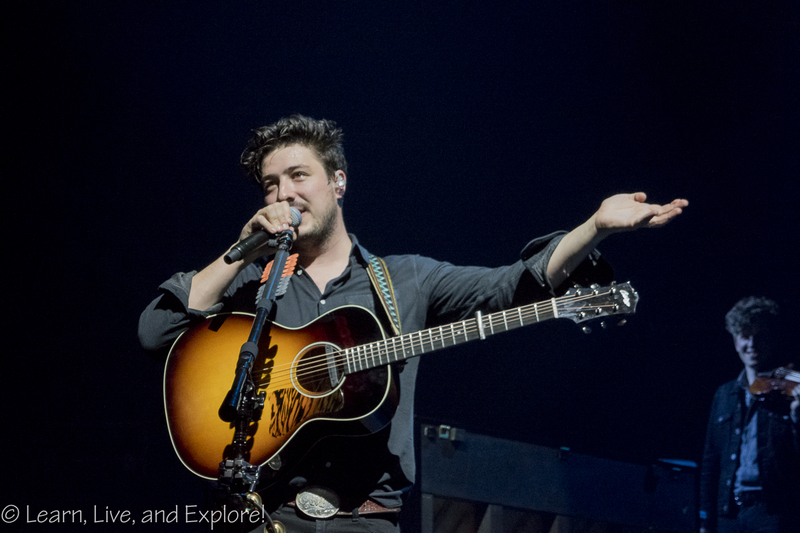 The guy in the photo is Marcus Mumford of Mumford & Sons, and it was taken in Nashville last spring. About a year prior, I met some lovely women at a very small Mumford & Sons concert, and we became - affectionately - "mumfriends." This concert was the first one where we all traveled to a destination to see a show. My mumfriends are a little more die hard when it comes to location in the general admission pit, wanting to be on the rail all the time which, while it was a lot of time spent waiting in line, worked out phenomenally for me. I spent probably too much time taking photos during the concert when I should have been dancing, to be honest. I love this photo because it is capturing Marcus telling a funny story in retaliation for Winston, on his left on banjo/guitar, revealing an embarrassing tale about Marcus. It really encapsulates the fun bond of friendship the two of them share. My cousin came to visit me this summer for a long weekend, and she's been wanting to learn how to handle her camera a little better. 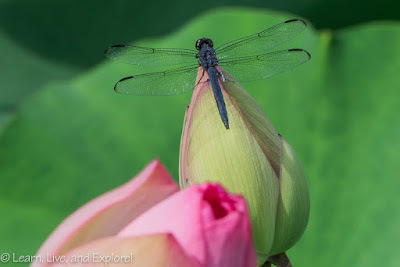 I took her to the Kenilworth Aquatic Gardens outside of Washington D.C. to shoot the July lotus blossoms in bloom for some practice. Added bonus: we got to collect stamps on our National Park Service passport book. There were a couple of resident dragonflies flying around the many lotus beds, so I was really tickled to capture one when it landed. I wished I had a longer zoom lens though. 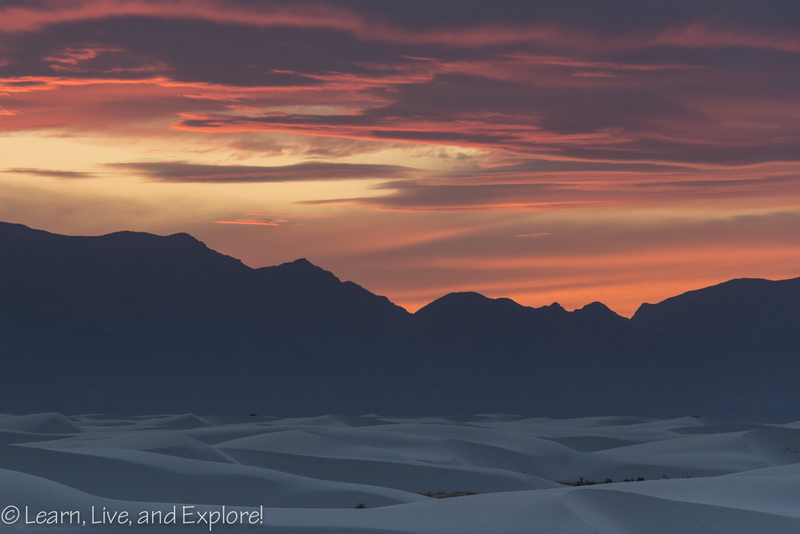 Speaking of NPS passport stamps, a fun national park to visit is the gypsum dunes of White Sands National Monument. 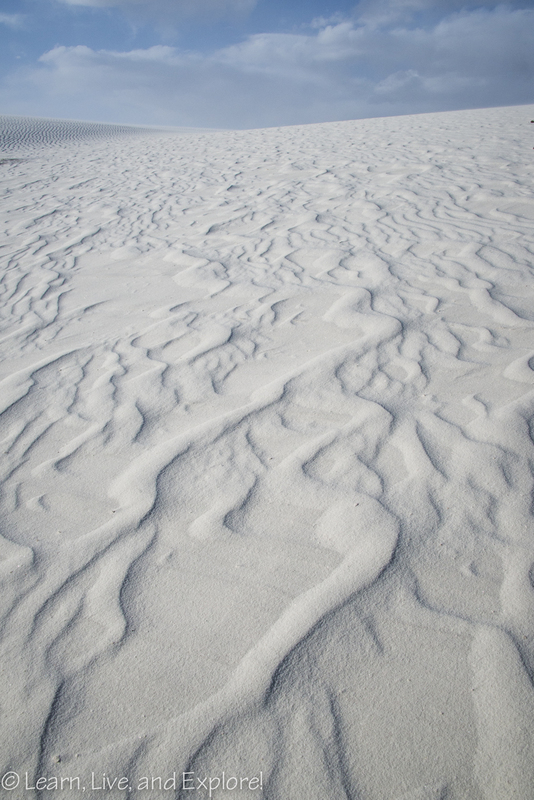 The gypsum retains moisture under the large dunes, and in the case of this photo, the sand was quite dense with water so instead of the wind blowing loose sand around on top of the dunes, over time the heavier particles made this gorgeous wave pattern. I have been wanting to travel to Alberta for several years now, and this was the year I made it happen. This was shot at sunrise just off of the side of the road near Moraine Lake. 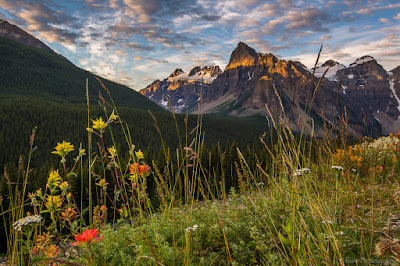 I love the summer mountain wildflowers, the cloud patterns, and the little bit of sunlight that is peeking through the horizon clouds to shine a nice highlighted stripe along the mountain peaks. 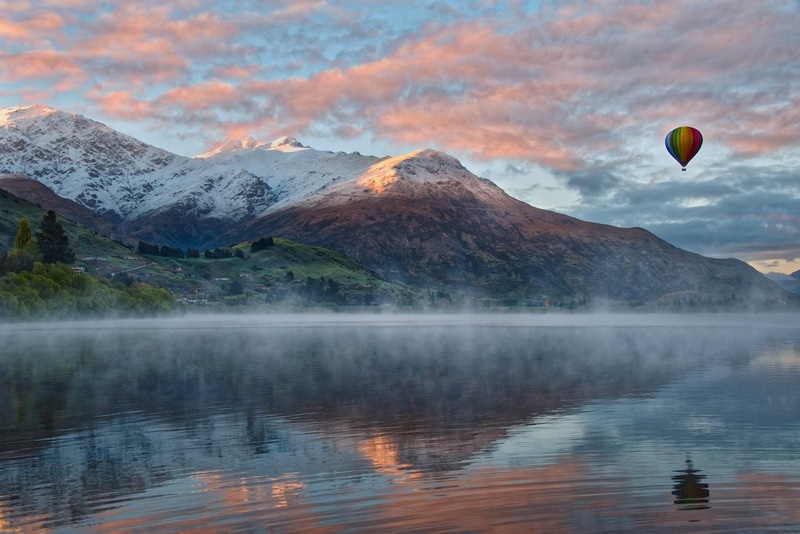 This shot of The Remarkables mountain range that borders Queenstown, New Zealand is a perfect example of both luck and being aware of your surroundings. I was actually walking along the lake shoreline with my back to the mountains, and I stopped to turn around to see if I liked the composition. In the few minutes I had been walking away from the town, this fantastic rainbow had formed. It actually stayed for a good amount of time, which allowed the sun to set lower and provide a great glow on the mountains. 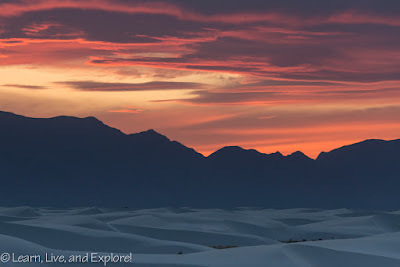 Shooting the gypsum dunes at White Sands National Monument provided endless opportunities because the sand was shifting constantly with the winds. While the wind was helpful in clearing footprints, it made for some challenging photo conditions. Fortunately, the last day I was there, the wind calmed down and the sun put on quite a show that evening. 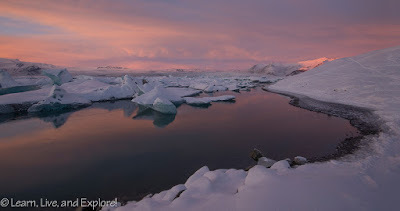 Timing can be everything in photography, and while we can't control everything, shooting in the morning and evening light will provide a better chance of getting great light and interesting colors. When we drove down the road to a lake outside of Queenstown, NZ all we were expecting were some good pinks in the sky and maybe some morning mist lifting off the lake. Little did we know we would be surprised by a hot air balloon launch as well! 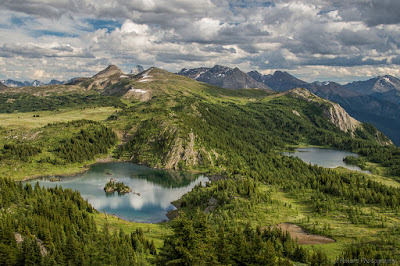 And finally, the majority of photos that you see of Banff National Park on social media tend to be of the turquoise mountain lakes, like Louise, Moraine, Peyto, etc. While that was what lured me up there, I can say without a doubt that my favorite experience and equally favorite shot was atop the Canadian Rockies shooting across a large green meadow with B.C. 's famous Mt. Assiniboine making herself known amongst the peaks. This photo also demonstrates how expectations can still be exceeded when visiting a highly anticipated photography destination.